Archive photo (June 2005) – Pericles Panagopoulos. 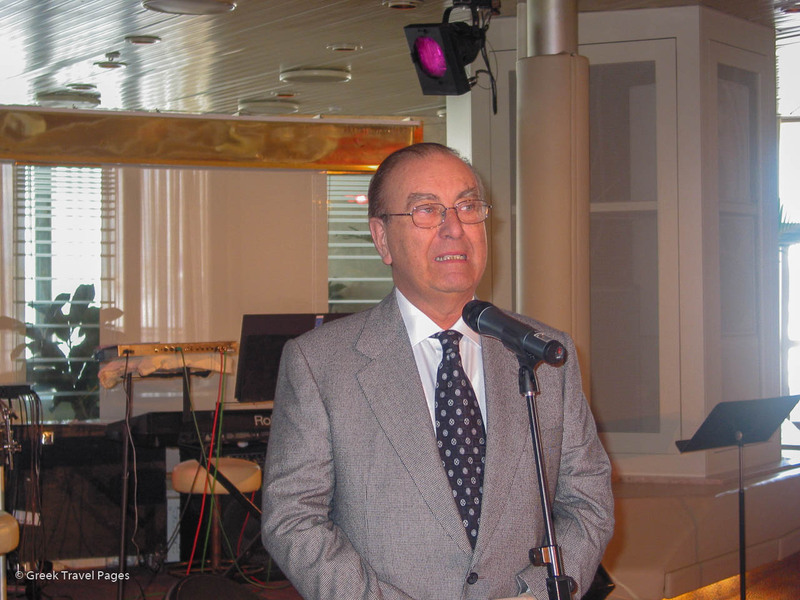 Pericles Panagopoulos, a Greek shipping magnate, passed away at the age of 83 on Tuesday, February 5. His death was announced by his wife, Katerina Panagopoulou, on Facebook. “He completed his earthly journey, in peace, at his home, with his wife, his children and his grandchildren by his side, just as he wished,” she wrote. 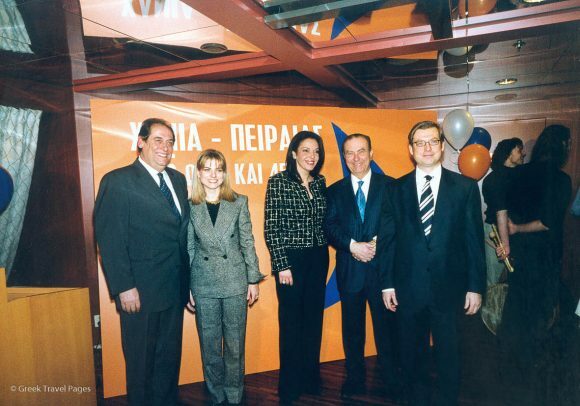 Archive photo (May 2003) – Gerasimos Strintzis with Erini Panagopoulou, Katerina Panagopoulou, Pericles Panagopoulos and Alexandros Panagopoulos. Born in Athens on December 29, 1935, Pericles was considered one of the most successful Greek shipping figures since Aristotle Onassis. Pericles graduated from the Ecole Superiense de Commerce School in Switzerland. In 1954 he began working at the London branch of Home Lines, a passenger shipping company that operated both ocean liners and cruise ships. Ten years later, Pericles took over the position of general director at Sun Line, a cruise company owned by Babis Kioseoglou. In 1971 he formed Royal Cruise Line. The m/s Golden Odyssey was the company’s first cruise ship and was followed by the Royal Odyssey in 1982 and the 1,000-passenger Crown Odyssey in 1988, before getting acquired by Kloster Cruises in 1989. 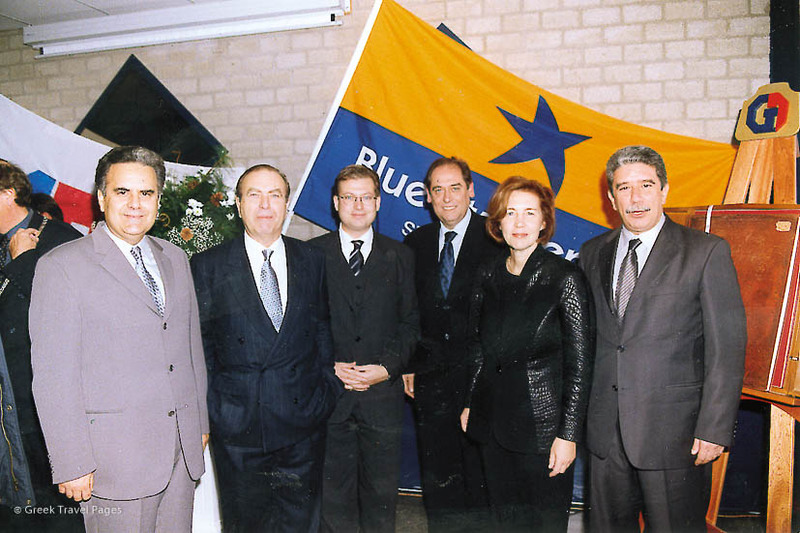 Archive photo (February 2000) – Thanasis Tsouroplis, Pericles Panagopoulos, Alexandros Panagopoulos, Makis Strintzis, Tina Netelenbos and Stavros Soumakis. In 1993, Pericles Panagopoulos co-founded with his son Alexander Panagopoulos Superfast Ferries, as part of Attica Enterprises (later named Attica Group), an Athens-listed holding corporation. Attica Group was acquired by MIG in 2007. In an announcement, the Greek Shipowners Association for Passenger Ships (SEEN) expressed its deep sorrow for the loss of Pericles. He had served as SEEN’s president from 2003 to 2008 and since 2009 was its honorary president. Archive photo (August 2008) – Yiannis Evangelou, Anastasios Stylianopoulos, Aris Spiliotopoulos, Pericles Panagopoulos, Christopher Hayman and Fler Potamianou. 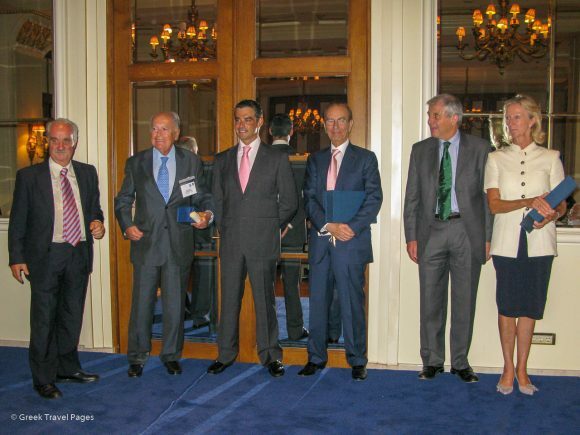 “Pericles Panagopoulos was a leading personality in Greek shipping… He played an important role in developing cruise around the world and was a pioneer in the creation of new conditions for the operation of passenger / ferry lines by designing and building modern high speed ships, which he launched not only in Greece but also in other international lines throughout Europe,” SEEN said. His funeral will be held on Friday, February 8, at 1pm at the Church of Agios Dionysios Areopagitis in Athens. He will be buried in the First Cemetery of Athens. We, at GTP, express our sincere condolences to his family.